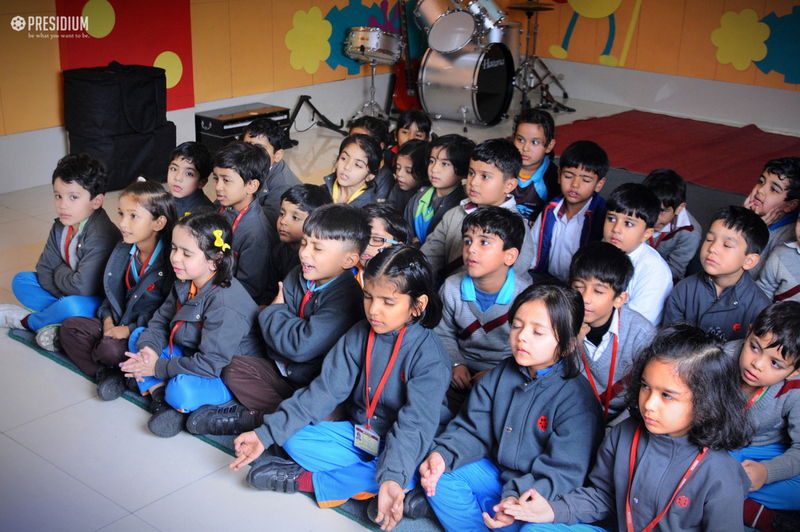 Music is an art form that touches the heart and rejuvenates the soul. 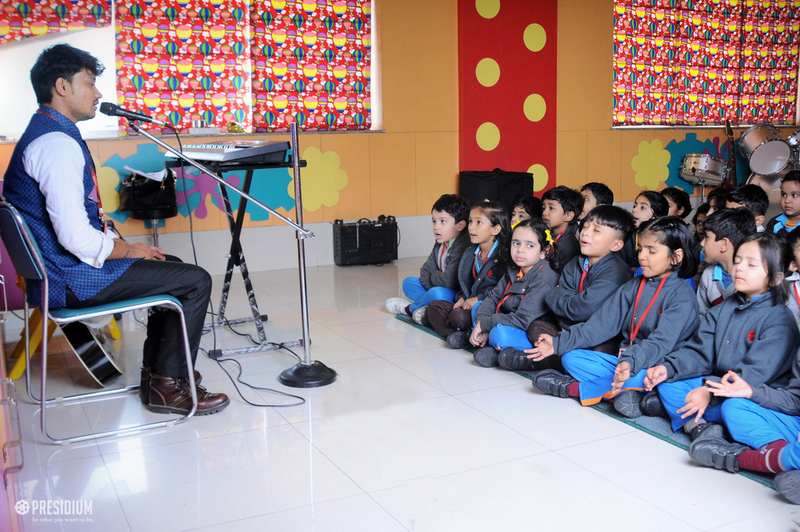 To inculcate the skills which are certainly going to help the students to excel in the field of music, Presidium Raj Nagar was all set to wander in the nodes and rhythms of music. 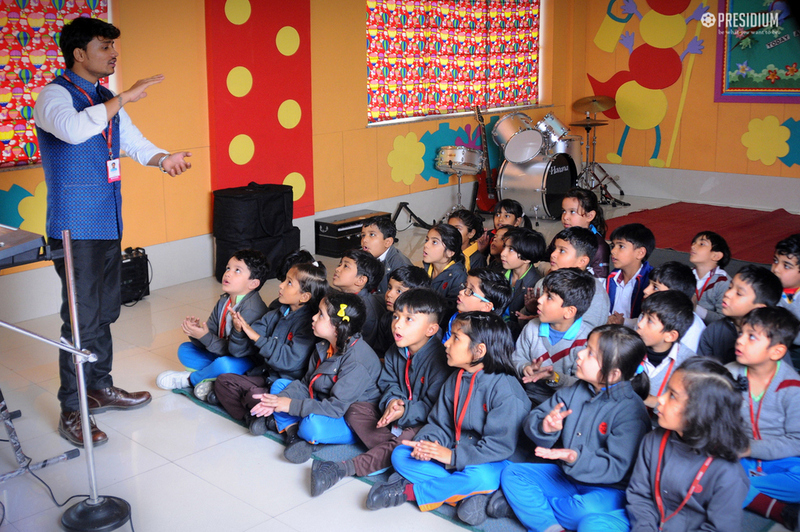 A 'Vocal Workshop' was conducted in the school premises recently to enhance the voice modulation of our young Presidians of grade 1. 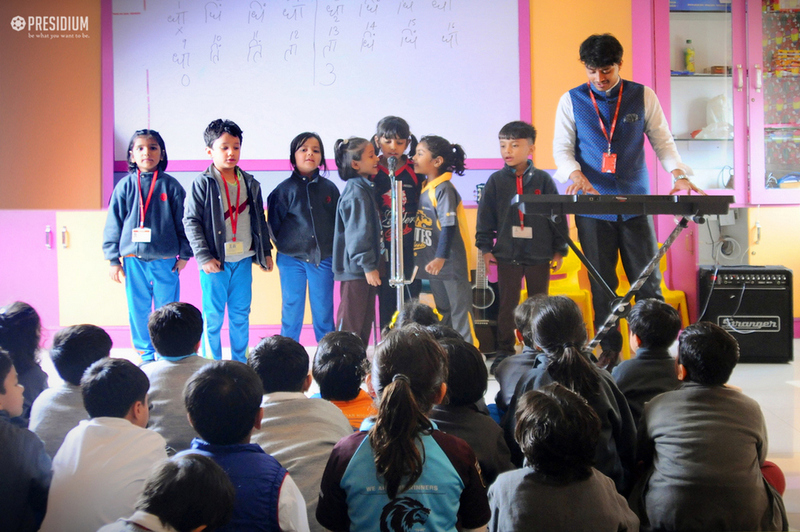 Making the students understand various nodes of rhythm through different types of Sargam and its variations in 'teen taal', 16 beats, the workshop was a melodious experience for all!